After the past three months of non-stop work on the house and yard as well as wedding preparations, I was ever so ready for a break! Two days and nights in Rocky Mountain National Park was just the ticket! It was also a great opportunity to try out the new camera lens that I gifted myself with! I've always had a fondness for small rodents. Yes, even mice, which I used to raise for the local pet shops when I was a girl. But chipmunks hold a special spot for me. Just love those sweet little faces! But they don't hold still for photos very often and when trying to learn how to use a new lens that is completely different from any I've ever used before, I'm amazed that I managed to get the fun shots that I did! Such a sweet whiskery face! 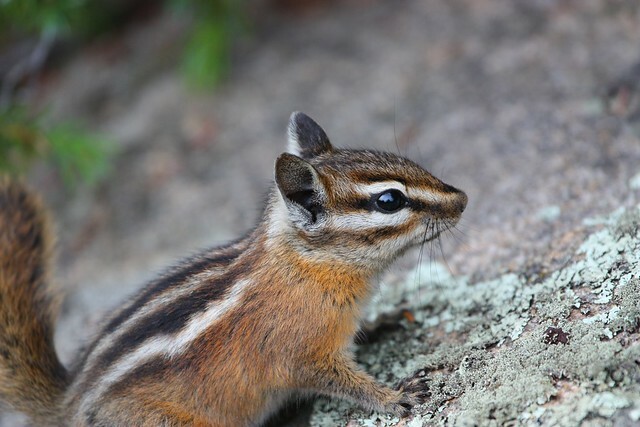 This is a Colorado Least Chipmunk. Very tiny, very quick, rarely sitting still for more than a few seconds. Very industrious! 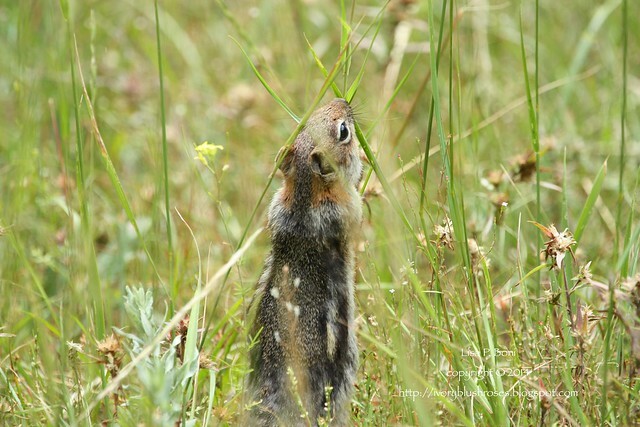 I also managed to get a fun set of photos of a Golden Mantled Ground Squirrel. 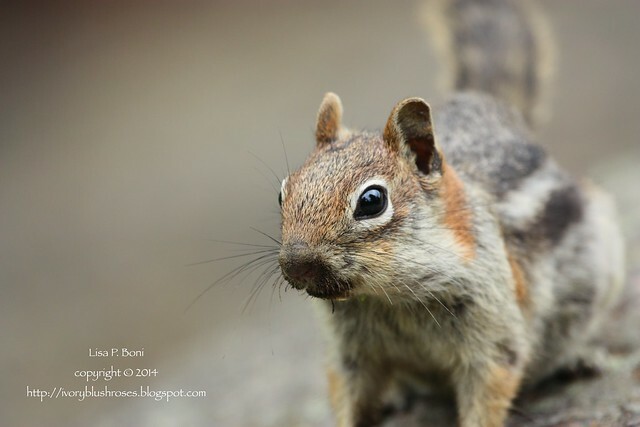 If you have a hard time telling the difference between the Chipmunk and the Golden Mantled, you are not alone! Many people have trouble with it. 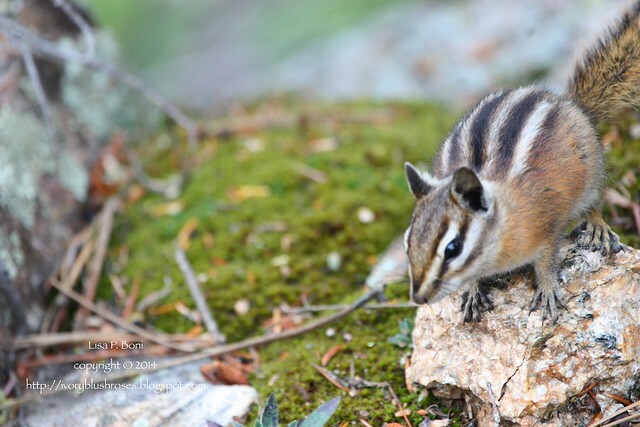 One easy way to remember is that Chipmunks are tinier and have striped face masks. 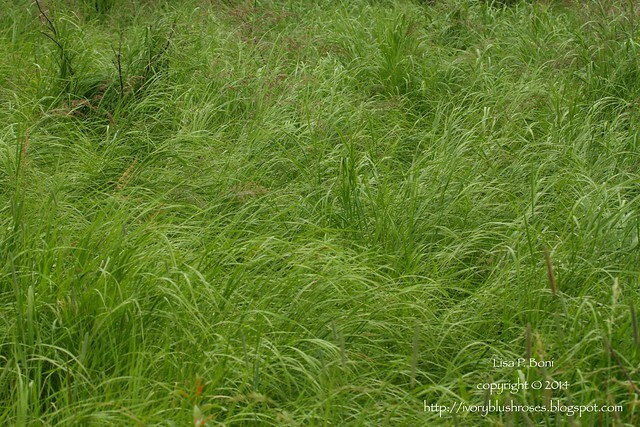 The Ground Squirrels do not have any stripes on the their heads and are larger (and fatter usually). This fellow also sat for a nice portrait, even if his mouth is a little dirty from foraging for seeds! 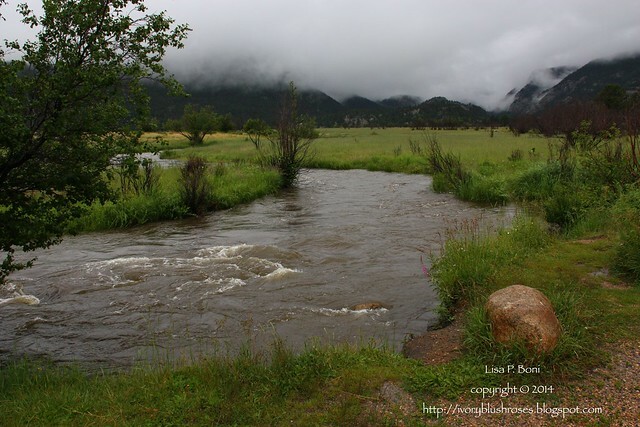 There has been so much rain in the northern Colorado mountains this year that everything is lush and green! 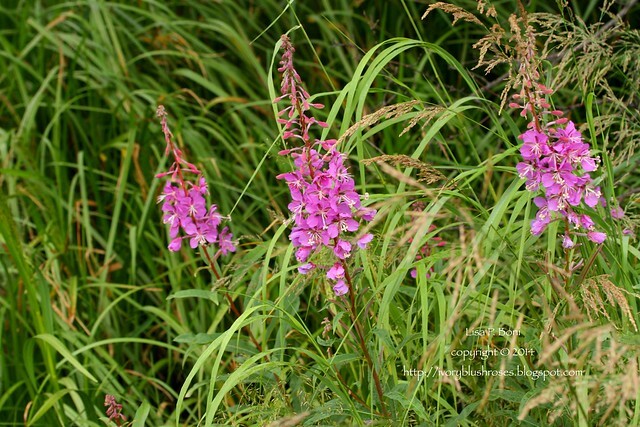 All that moisture makes for glorious wildflowers like these brilliant spires of Fireweed! 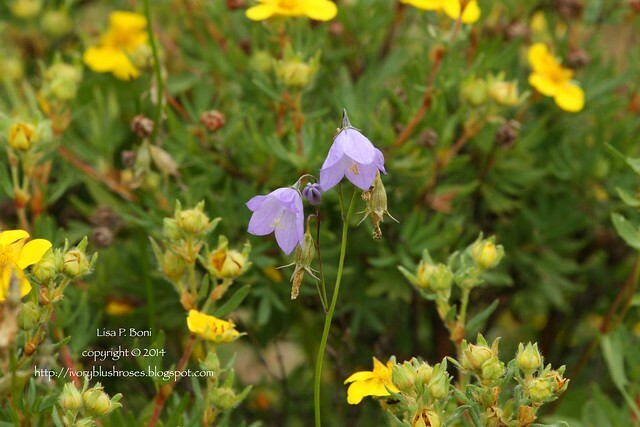 Shrubby yellow flowered Cinquefoil is in bloom all over the park and in many places there are Harebells in bloom as well! 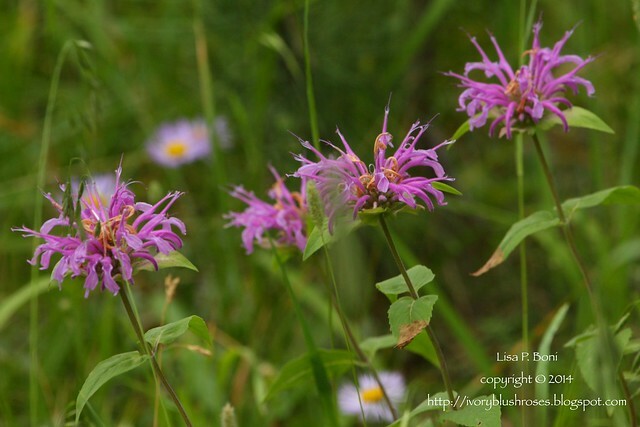 I really love the wild Monarda (or Bee Balm). Just glorious! Like a field of pink fireworks! 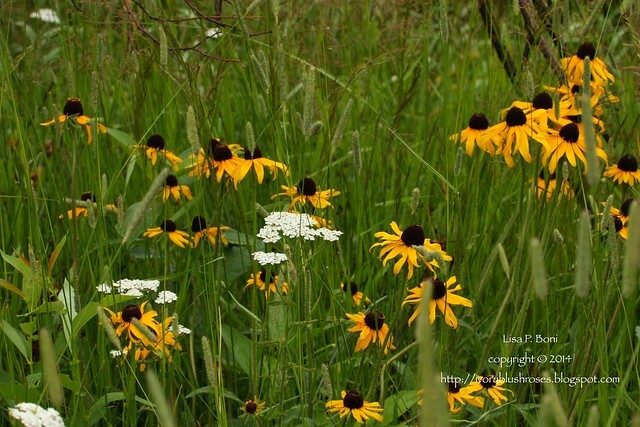 The Rudbeckia is also in bloom along with the wild white yarrow. God plants the best gardens, doesn't he?! The Fleabane is also in bloom. 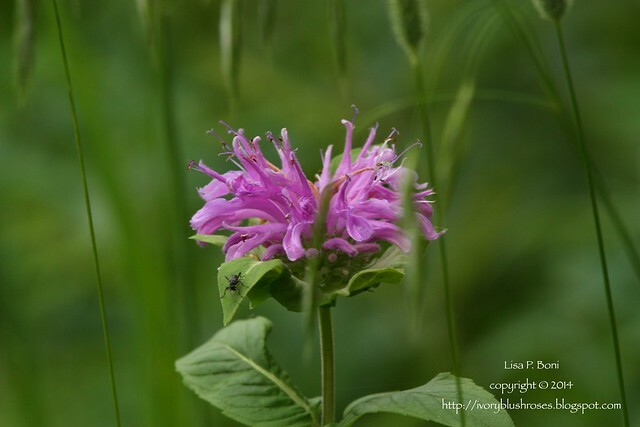 In a few short weeks, the Asters will start blooming. 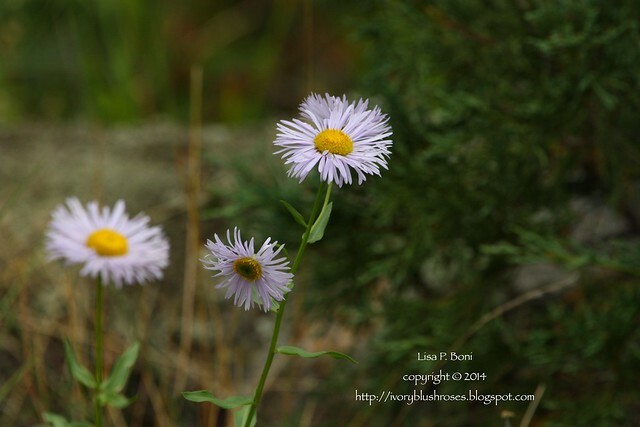 They look almost like the Fleabane but have fewer and wider petals. 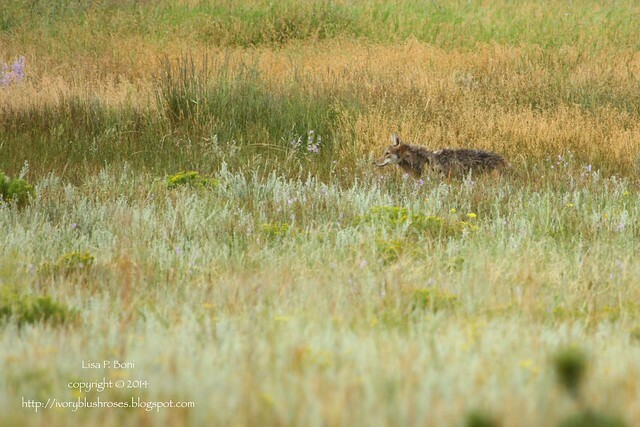 While I was out and about, I was lucky enough to spot this coyote on the hunt. I was also blessed to see a weasel with a freshly caught vole in it's mouth, running down the road in front of the car at one point! Love being able to observe Nature's life cycle in action. I saw lots of birds and took lots of photos ~ some good, some not so good. This one is pretty fuzzy, taken through the windshield of the car after I came to a screeching halt to see this strange bird in the road! 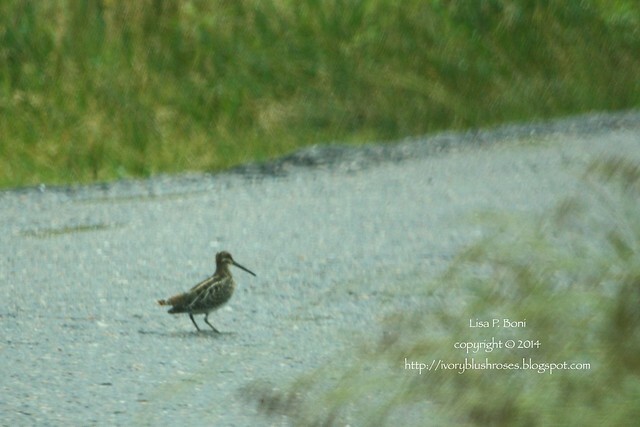 It's a Wilson's Snipe ~ a first for me, and certainly not one I expected to see up in the mountains! Apparently it's a fairly common bird in Rocky Mountain National Park, even though I had never seen it before. By evening, it started to rain. 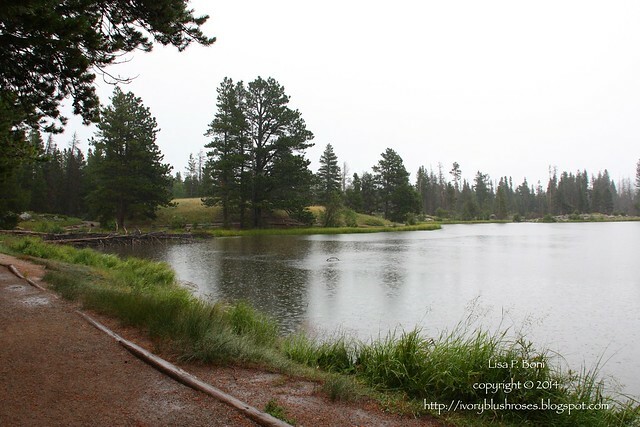 I stopped at Sprague Lake thinking I might be able to walk around the lake. 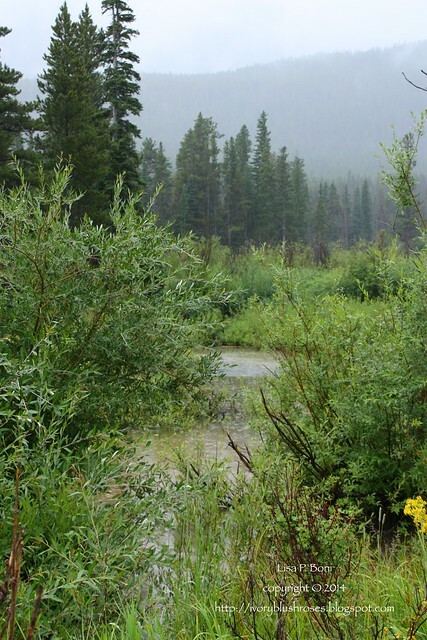 The adjacent beaver ponds were looking lush with new willow growth - a good sign that the beavers have moved on. 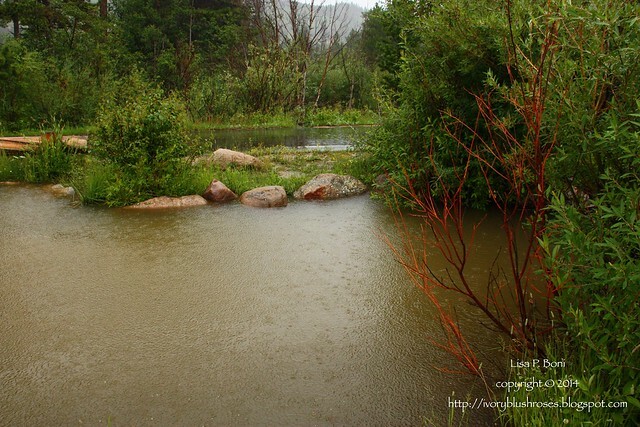 The waterway that feeds into Sprague Lake was full to the brim. Alas, the rain was coming down too hard and cold to make it enjoyable to walk in, so this is as far as I got. Still a lovely spot despite the rain! Today, the rain was coming down even harder. I spent the day attempting to see some birds, but most of them were tucked away in the trees and not out where they could be seen. After doing a couple of small watercolors, which I'll try and take photos of tomorrow to share with you, I drove up Trail Ridge Road. 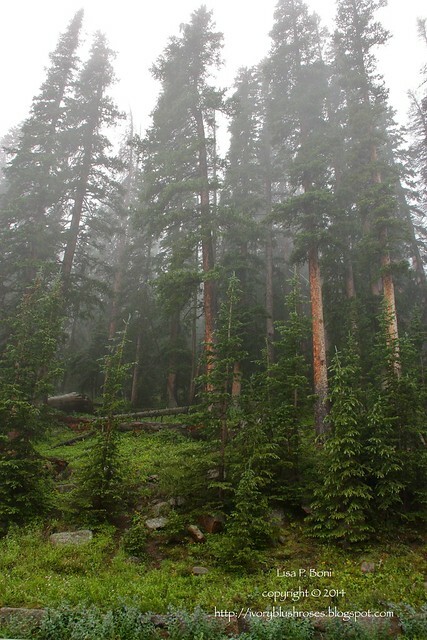 I love the sub-alpine forests of Douglass Fir and Engelmann Spruce and the lushness of undergrowth. Ever since we started visiting RMNP back in the mid 1960's, I've loved this stretch of road lined by young and old trees. Especially dramatic in the mist. After lunch at the Alpine Visitor Center on top of Trail Ridge, I drove back down and discovered the clouds lifting and the rain slowing. The creek is definitely flowing full with all the rain! Love how the rain saturates all the colors and makes them even more vivid! Despite the rain, it has been a lovely couple of days! So refreshing to be out enjoying nature and to have no set agenda or long to-do list to accomplish for a change! You live in such a beautiful part of the country, woods, rivers/streams, lakes, mountains. You captured the critters well. Thank you for sharing your little vacation with us. I enjoyed it.